Should Your Business Have a Shipping Office? Shipping offices play an import role in business operations. Most businesses use their shipping office as a place to receive, sort and send mail. The office does not necessarily have to be a large space. In fact, many small businesses have shipping offices to help them stay organized. In order to create a shipping office that perfectly suits your needs, you will need space. One of the most convenient ways to add this space without disrupting business flow is with a modular building. Modular offices expand your property without any construction or hassles. Simply select the style and size of the building you want, then wait for it to be shipped. It is easy to see why a modular shipping office would be a popular choice for a growing business. Flexible placement options and the ability to control the design of the building are huge benefits. Companies that sell modular office space often point out just how practical of an option the modular design really is. There are a lot of different possibilities when it comes to modular design. For a shipping office, most companies prefer a large open room for sorting, a front window area and a storage space. Extra amenities are often added if the office is detached from the main building, such as a break room or restroom. Cheap shipping office prices online often reflect the size and extra amenities the business chooses. For example, a shipping office with multiple rooms will cost more than a small, single-room unit with a window. Because there are a lot of possibilities available, it is always a great idea to get a quote from an experienced manufacturer. The best available modular shipping offices for sale will be able to serve multiple purposes within your company. Flexible designs and layouts make it possible to add almost any kind of space to the modular building. A storage garage, additional offices, or workspaces could easily be added on to the design plan. If the building is going to be detached, you may even want to consider attaching your security offices to the shipping building. Most modular shipping suppliers already have several designs available for you to choose from. This can help you speed up the buying process. In some cases, a standard shipping office will already be available and can be shipped out right away. The majority of shipping office customers choose to use a fully customized design. This helps the business to get exactly what they want. Some pre-built modular designs may only need to be slightly modified in order to truly fit your needs. Discuss your expectations with the manufacturer. While there are many different designs and your manufacturer is experienced, you will want to ensure that your order is correct ahead of time. If you aren’t sure what features to include, a customer service representative can make suggestions. Because of the modular design, there is a market for used shipping offices. However, these can be harder to customize and may not meet your immediate requirements. It is always best to work with a company that will start your manufacturing process from scratch. Modular shipping office services available online are a great place to start. By working online, you can gain a lot of knowledge about modular building manufacturers and how they operate. Panel Built, for example, does the bulk of it’s business online, which allows us to cut some of our overhead costs. This in turn allows us to focus our resources on building better units and helps you to save money in the long run. The shipping office price online will be significantly lower than if you tried to have an office built on your property. This is because our team is assembled in one location with all the tools and supplies they need. If they needed to arrive at a traditional construction site, the daily operations cost would increase. Another benefit to off-site construction is a speedier delivery time. In many cases, Panel Built can have a shipping office delivered in as little as two weeks. Smaller shipping offices may even qualify for a faster delivery. This is due to a dedicated work team assembling everything as fast as possible and then shipping it to you. Low prices and a fast turnaround time is not enough. Professionals need quality buildings that they can rely on. They need a building that truly looks great. This means working with a manufacturer that is dedicated to quality. 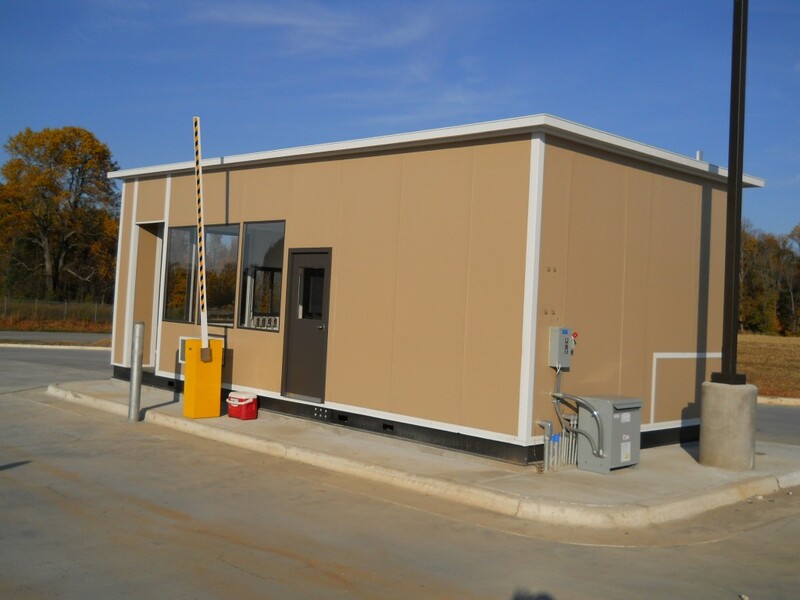 Modular offices that stand alone are reinforced so they can withstand heavy winds and other conditions. Panel Built, for example, reinforces their buildings so that they can withstand heavy rain and extreme temperatures, as well as rust. This helps give you peace of mind. If you are wondering where to buy a shipping office, then look no further than Panel Built. Our experienced company has helped businesses of all sizes get the modular space they need to be efficient. With our help, you can get a shipping office that you can be proud to call your own. To get started with your shipping office project, contact us today. We will be happy to assist you.